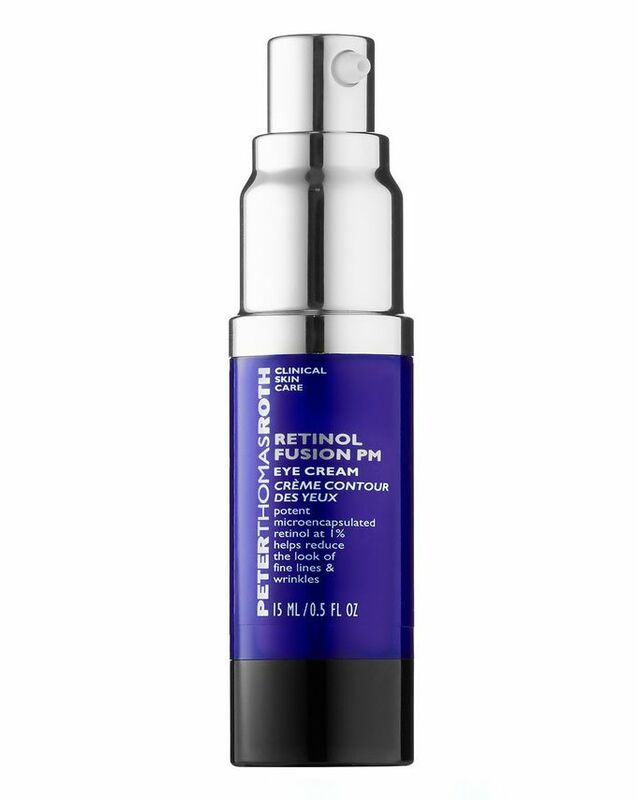 Brimming with supercharged, encapsulated retinol to ‘anti-age’ the delicate eye area, Peter Thomas Roth’s Retinol Fusion PM Eye Cream kick-starts sluggish skin cells to encourage the creation of line-smoothing and firming elastin and collagen. 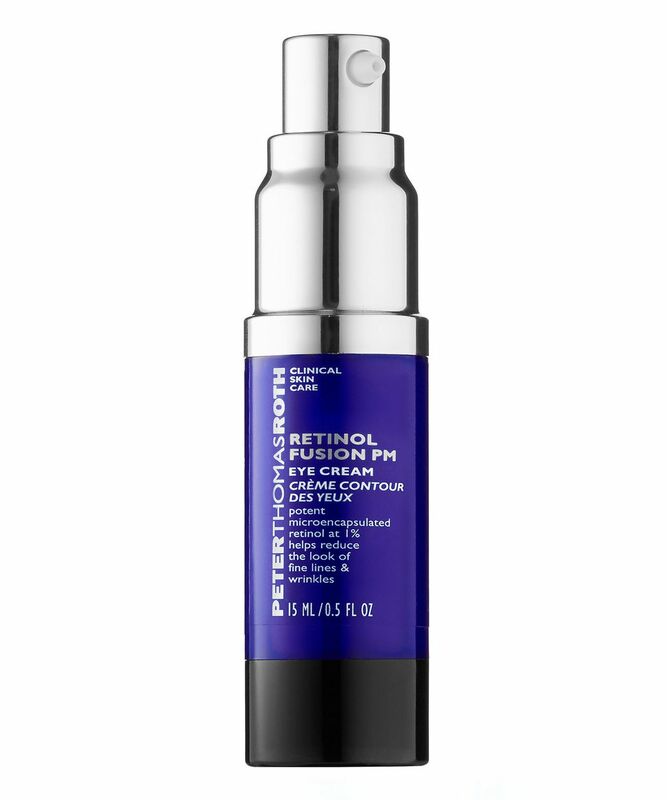 The ultimate foil for fine lines and wrinkles, Peter Thomas Roth’s Retinol Fusion PM Eye Cream delivers all the powerful, regenerative benefits you’d usually expect from retinol, without the irritating, dehydrating side-effects. With 1% micro-encapsulated retinol, this rich, nourishing cream provides sustained release of cell-energising retinol over the course of eight hours – to promote density of delicate, crêpey skin and in turn, decrease visibility of dark circles, diminish depth of crow’s feet and help counteract sagging so eyes appear much younger. With nourishing, elasticising shea butter, alongside vitamins A, C and E to smooth and soften, this strengthens and protects skin’s fragile fabric, while the inclusion of caffeine works to lessen the appearance of puffiness. Just apply before bed and wake up looking wonderfully well-rested. For optimal results, apply at night to cleansed skin. Gently pat a small amount under and around eyes. If mild irritation or redness occurs, use every other night until skin adjusts and gradually build to daily night-time use. Use SPF protection during the day. I love this eye cream, like it says, it was a little strong the first few times I used it but I used it every other day and after not very long at all my eyes adjusted and it’s absolutely fine to use every night. I am almost through my first bottle and can really notice a difference, I am sure the results have got better and better with regular use, I will definitely re purchase again and again!